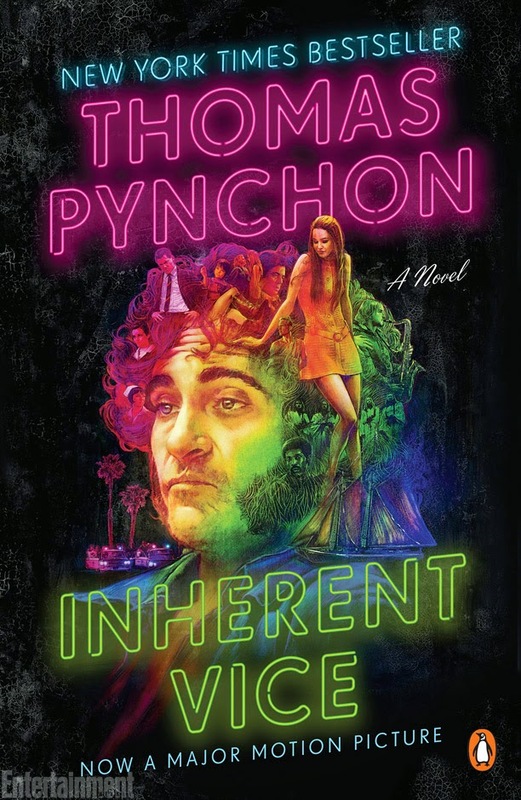 Via Entertainment Weekly, Penguin Publishing is rolling out a fantastic new cover for Thomas Pynchon's novel Inherent Vice with imagery from the movie. I have a feeling this will be the final poster for the movie. JP looks a little out of sorts ..
who's legs are poking out behind doc and penny? I generally dislike actors from movie adaptations being placed on book covers... stifles the imagination. Movie Name: Happy New Year 2014.WATCH HAPPY NEW YEAR MOVIE NOW. Director:Farah Khan. Writers:Althea Kaushal, Farah Khan. Stars:Shah Rukh Khan, Deepika Padukone, Abhishek Bachchan. WATCH HAPPY NEW YEAR MOVIE NOW. Here's something - Robert Elswit interview on Inherent Vice and Nightcrawler. Anyone with a Netflix account has to watch Portlandia Season 4 Episode 8 "Late in Life Drug Use," there's a hilarious PTA reference at 18:30 that's just great for any fan! I love Inherent Vice novel and I used the showbox app to publish a new free movie release brought by showboxvpn.com.